Stunning boots, love it. I would love to try them out. The second one looks very trendy. The first pair is perfection! love the first boots. Have a great weekend. Super super cute!! I love them all and they look great! The black boots are fabulous! 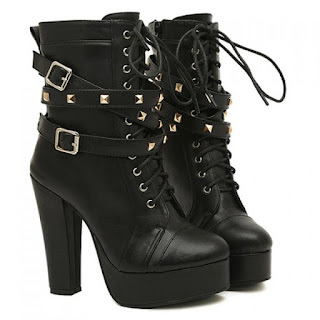 love the second boots <3 so cute! I like the last boots. Haven't worn any boots my whole life because I live in a tropical place and mostly travels to humid places as well. The first pair is for sure my favourite! I have a pair of boots that look very similar to the first pair! Nice blog post. I agree with the black shoes, it's always a go-to. These brown and black boots are really beautiful! The last ones seem to be so confortable! Love these!! !